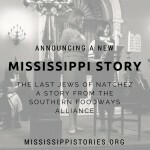 The Mississippi Institute of Arts and Letters has awarded Center publication The Mississippi Encyclopedia its 2018 Special Achievement Award, and John T. Edge, Director of the Southern Foodways Alliance, has received the MIAL Nonfiction award for his book The Potlikker Papers: A Food History of the Modern South. There has been a Jewish community in Natchez, Mississippi for 175 years—and Robin Amer’s family has been part of it for 160 of them. But now the number of Jews in Natchez has dwindled to only a handful. In this audio story, Robin returns to learn what culinary culture might disappear when they’re gone. Check out a slideshow of highlights from the SFA’s oral history programming so far in 2016, shown recently at the Fall Symposium. 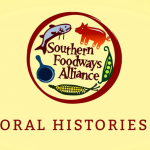 Led by Oral Historian Sara Wood, the SFA tells the stories of the farmers, fisherman, cooks, and entrepreneurs who feed the South, opening discussions of history and identity, and engaging with race, class, gender, and sexuality. 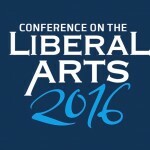 Faculty, staff, and a alumnus of the Center will participate in the [Re]Defining Liberal Arts Education in the 21st Century Conference on the Liberal Arts next week at Jackson State University. 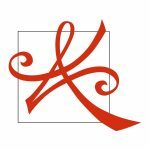 The Conference, to be held October 6 – 8, will include a keynote address by Dr. William D. Adams, Chair of the National Endowment for the Humanities. Documentary work will be the theme of the Brown Bag Lecture for Wednesday, Sept. 14 at noon in Barnard Observatory. 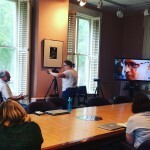 Several faculty and staff members of the Center for the Study of Southern Culture will discuss documentary photography, film, oral history, and audio recording and show examples of their work and teaching. Participants will include Becca Walton (Mississippi Stories), Rex Jones and Andy Harper (Southern Documentary Project), Sara Wood (Southern Foodways Alliance), and David Wharton (director, documentary studies). 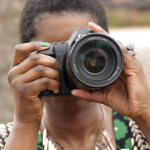 The Mississippi Stories website, launched in July 2016, seeks to tell the complex story of Mississippi and Mississippians through multiple forms of documentary practice: film, photography, oral history, and sound. 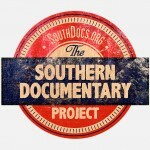 The website presents work by students, staff, faculty, and alumni of the University of Mississippi’s Center for the Study of Southern Culture, including Center institutes and partners Living Blues magazine, the Southern Documentary Project, and the Southern Foodways Alliance. We wanted to share a blog post, written by Ted Ownby, from the SFA’s site.